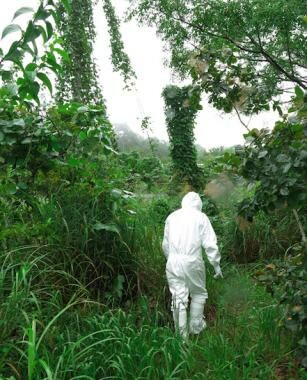 Arts Catalyst presents two exhibitions and a season of events reflecting on disaster, displacement and poisoned lands, including A Walk in Fukushima - Don’t Follow the Wind' created by Eva and Franco Mattes + more. Real Lives Half Lives: Fukushima is a season exploring cultural and societal responses to disaster, displacement and poisoned lands. What can art do in an ongoing catastrophe? How do citizens respond to a situation that forces tens of thousands of people out of their homes, land, and communities, many of whom probably cannot return for decades? Arts Catalyst presents two solo exhibitions by artists that respond to the man-made disaster of the 2011 Fukushima Daiichi nuclear meltdown, alongside a series of events exploring the profound social, cultural and political impact of Fukushima in Japan and the lessons we may learn. Included in the show is an immersive 360-degree video: 'A Walk in Fukushima - Don’t Follow the Wind' created by Eva and Franco Mattes, curatorial collective Chim↑Pom, Kenji Kubota, and Jason Waite. Project Fukushima! by Hikaru Fujii will also be presented.